The lighter Pure Aero Team (285 g) offers even better handling than the standard Pure Aero version. The balance-weight pairing provides easier grip and control. Also equipped with Aeromodular² and FSI Spin technologies, this racket delivers both power and spin. Ideal for junior players, as well as intermediate and expert players looking for a lighter and easier-to-handle alternative to the standard Pure Aero. 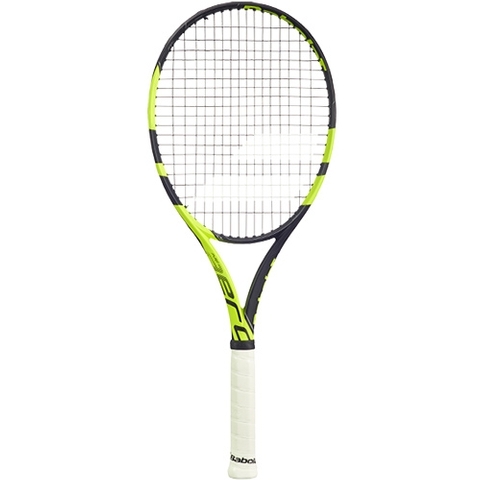 Free delivery available on Babolat Pure Aero Team! Order now! Sorry, the Babolat Pure Aero Team is now out of stock. Do you own the Babolat Pure Aero Team?